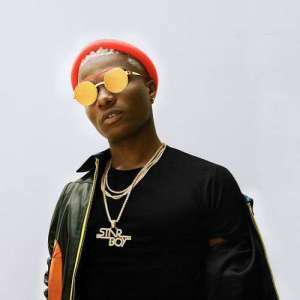 I think the wizkid we use to know is back, listen to his latest song and see what am talking about. 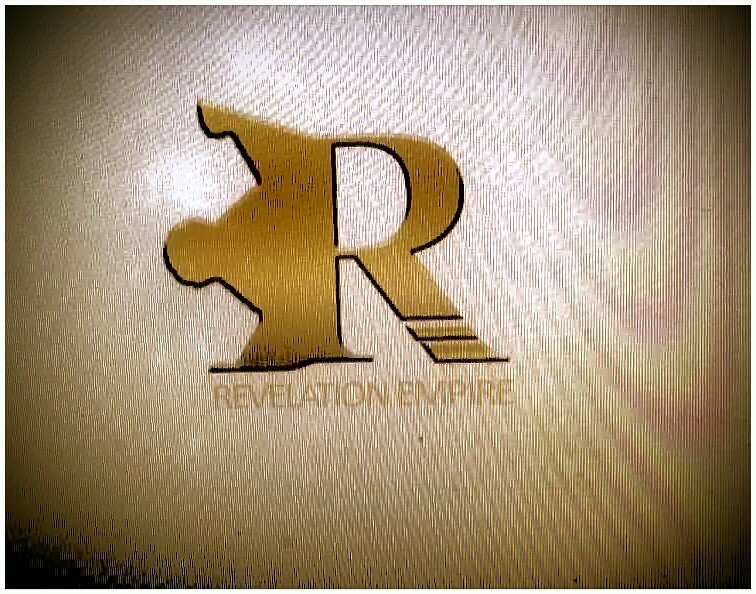 Vigilsmart gladly announes the birth of his talent packed Gospel Crew "Revelation Empire"
Revelation Empire says her aim is depopulating hell with melody, sit back and anticipate as her first song is set to drop on the 1st of September 2017. 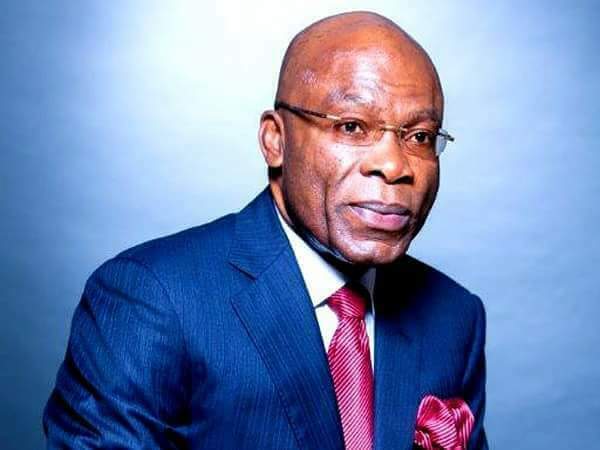 Less than 24hours, the former Governor of Imo State, Dr Ikedi Ohakim issued a press statement informing Ndi-Imo of the establishment of "Ekeukwu Owerri Market Disaster Fund" and calling for donations from well meaning individuals, Imo sons and daughters as well as Nigerians, an ICT guru and billionaire Chief Sir Leo Stan EKEH from Mbaitoli Local Government Area of Imo State has made a donation of Fifty million naira (N50m) to help rehabilitate victims of the said Ekeukwu Owerri Market demolition. The Nigeria Super Eagles squad are pictured training hard ahead of the crucial games vs Cameroon on their way to the 2018 World Cup in Russia... Table –toppers Nigeria are confident of overhauling Cameroon’s Indomitable Lions when both teams clash in perhaps the biggest match of Africa’s Group B of the 2018 FIFA World Cup qualifying race on Friday. 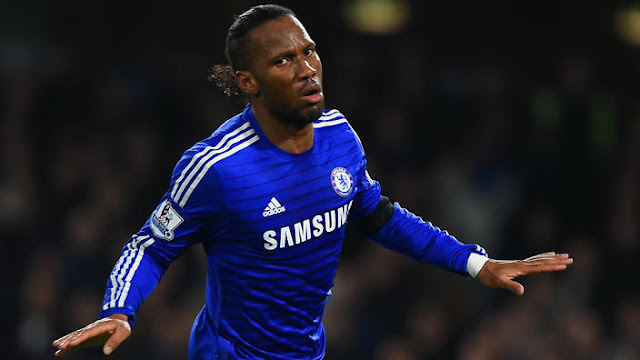 Team captain Mikel John Obi is at the head of 22 players who were as at Tuesday morning in the Akwa Ibom State capital for the big encounter, with only Cyprus –based Abdullahi Shehu and Russia –based Aaron Samuel still expected at the Ibom Meridien Hotel. Tuesday’s arrivals were Moses Simon, Uche Agbo, Leon Balogun, John Ogu, Anthony Nwakaeme and Victor Moses, joining up with Mikel Obi, Ogenyi Onazi, Oghenekaro Etebo, Kelechi Iheanacho, William Ekong, Ahmed Musa, Chidozie Awaziem, Ola Aina, Daniel Akpeyi, Ikechukwu Ezenwa, Mikel Agu, Odion Ighalo, Wilfred Ndidi, Dele Alampasu, Elderson Echiejile and Tyronne Ebuehi who made it to Uyo on Monday. Nigeria, on six maximum points from their first two matches, will all but seal a place in Russia if they snap up the three points on offer on Friday evening. Zambia and Algeria, the other two teams in the group, have one point each and clash at the Heroes National Stadium in Lusaka on Saturday. 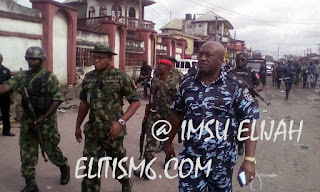 Evans and members of his kidnapping syndicate are currently being arraigned at the Ikeja High Court in Lagos. 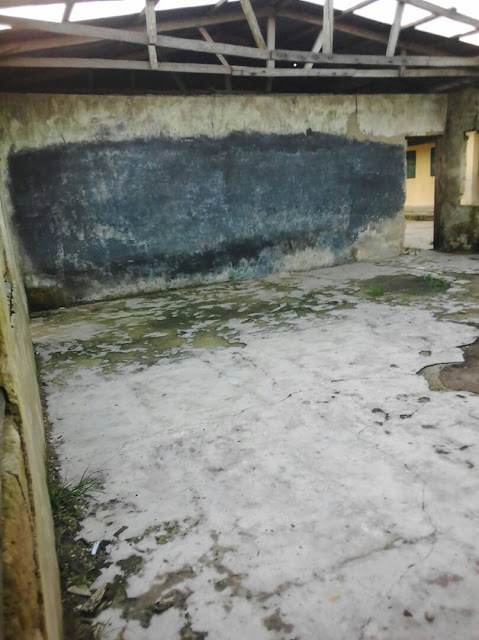 In continuation of its extraordinary service to the community, the Faith of Darlington Foundation has once again put an indelible mark in the walls of the people of Ikeduru LGA, Imo State . Penultimate weekend, the founder of the Foundation Chief Darlington Chimezie went in the company of his friends and colleagues to officially cut the tapes of the already ongoing summer classes. While speaking to the students at low key ceremony, Chief Darlington encouraged the students to take their studies seriously because a good education is the key to a successful individual. He told them to indulge in more educative activities as well as join clubs that would further enhance their already acquired knowledge. The real estate mogul in addition cautioned the students against indulging in nefarious activities and joining secret cults. This is to notify students of Imo State University and indeed the general public that the burial of Mr. Nnamdi Obasi the second son of the amiable, loving and caring Vice Chancellor of Imo State University Owerri, Professor (Mrs.) Victoria Adaobi Obasi is slated Saturday 2nd September 2017 at his hometown Nwangele in Imo State. 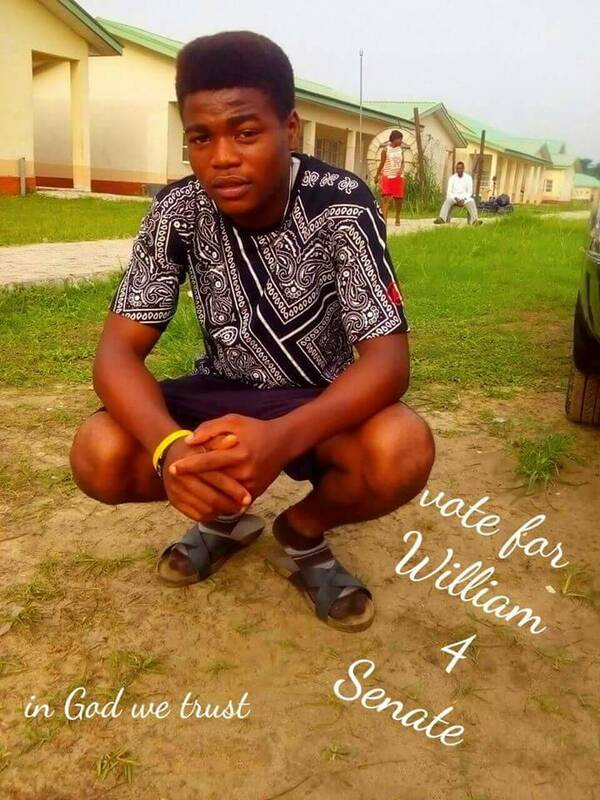 Recall, that young Mr. Nnamdi who had Political intention of running for Imo State House Of Assembly died on Sunday August 13th 2017 in Owerri after battling with an illness, Imsu Elijah reported. Students and general Public who may wish to pay last respect to Mr. Nnamdi are by this asked to converge at the Front Gate, Imo state University Owerri, 8AM on said date as transport arrangement to and fro have been made. 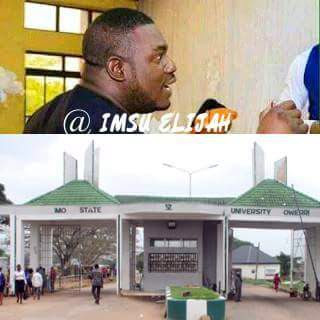 More so, disregard rumors filtering round that the admission form for imo state university owerri is currently on sale, the 2017/2018 admission process is expected to kick start this week with registration and submission of credentials. 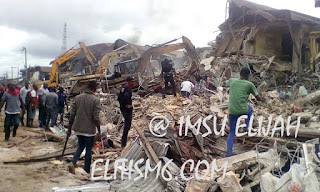 The independent movement for youth initiative (IMOYI), an affiliation of neutral alive and kicking youths has condemned in strong words the innocent killing of Master Somtochukwu and others in the Saturday August 26th demolition exercise at Eke Ukwu Owerri Market. 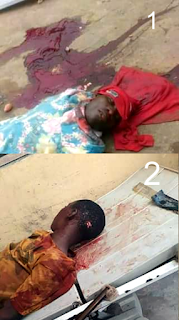 “It is with Great Disappointment that we register our dissatisfaction and disaffection over the recent blood bath at the Eke-Ukwu Owerre Massacre due to the ongoing demolition of the Market. 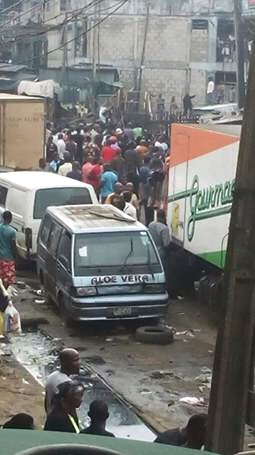 According to Live coverages from our reliable sources, It was recorded that on the 26th of August 2017, Tension rose to its peak when the residents, shop owners and beneficiaries of the Famous and ancestral Eke-Ukwu Owerre Market came out en mass to resist the "48hr fire brigade Quit Notice/Ultimatum" given by the Imo State Government led by His Excellency, Governor Rochas Okorocha”. 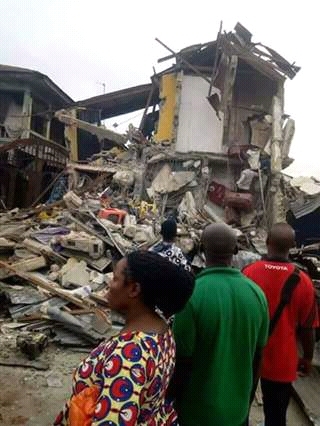 “We are not unaware of the new Market site at Ohii which is still under construction. 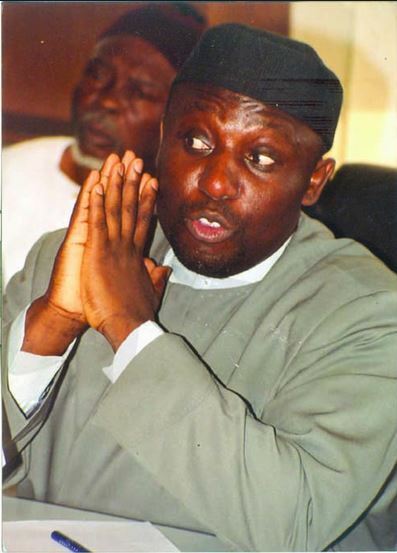 We commend the Government in their efforts to end traffic gridlock, restore peace, security and sanity to the entire City of Owerri especially the Douglas/Mbaise Road axis and as well encourage them to improve on their strategies in subsequent outings as the one recently employed has led to the massacre of Innocent and Harmless People who refuse to perpetrate crime but lawfully striving for their daily bread”. 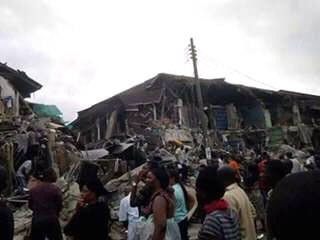 “While we out-rightly condemn the impromptu fire brigade action unleashed on these traders and the beneficiaries of this market which has ended up inflicting more pains, injuries, hunger, grinding and excruciating poverty in the Land while rendering many hopeless and homeless, we call on the Government to take responsibility of their actions and live up to expectations”. 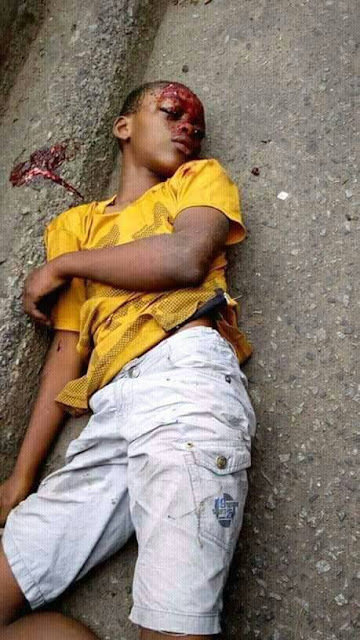 Even though there is need for the people to sacrifice a little and enjoy forever, It does not worth the lives of innocent citizens especially that of a 10year old little boy whose families have been striving hard amidst the present economic hardship to survive. Community development has been a very sensitive but continuous process in Governance as witnessed in past administrations especially during the CLEAN and GREEN Initiative era but must not always subject the people to abject suffering. 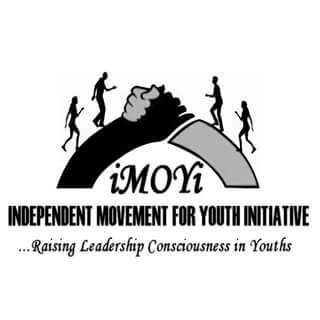 Finally, we call on all Youths to Wake up from their slumber and strongly reject anti-youth and anti-people policies and politicians across the Nation noting that now is the time to positively re-orientate, sensitize and empower ourselves mentally and morally with human capacity development for the tasks ahead. 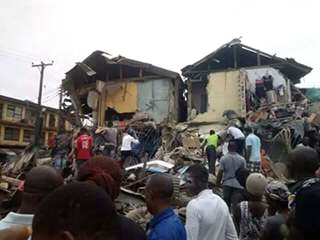 While our Hearts bleeds heavily, Let us remember that God is not at asleep for He will surely wipe our tears and bring succor to the distressed homes. There is Hope for the Future because the Egyptians we see today, we shall see no more. You can either be part of the PROBLEM or Part of the SOLUTION. Wake Up Nigerian Youths! tour of the State Capital. road to Avu Industrial Hub in Ohaji Egbema. 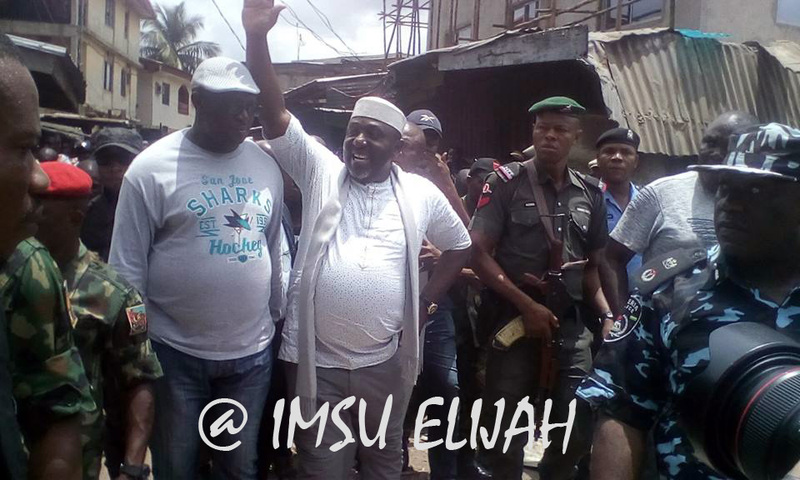 It will be recalled that the state government gave this relocation notice and tried to enforce the removal last year which led to drama where the governor grabbed an Ak-47 riffle from his security detail threatening to shoot as artisans and apprentice retreated for their dear life. 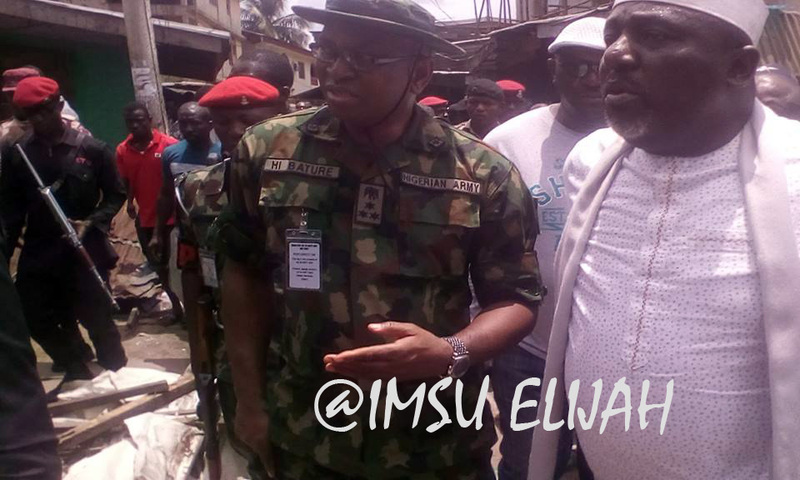 According to honorable Uju Kingsley, the deputy chief of staff (Operations) who disclosed the relocation notice, he said "Avu Industrial Hub is ready and all those who have been allotted shops should relocate immediately as government is doing all to make Imo state better than it was"
This is to inform the general Public that Ekeukwu Market Owerri has finally been moved from its Current location, to new location at Naze and Egbeada all in Imo State. 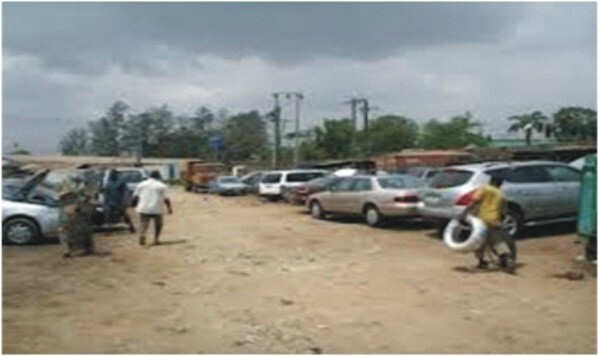 The relocation of the market is in line with the Urban renewal programme of the State. The government has taken this action to recover Douglas Road that Connects the State with other neighboring States which has remained a refuse dump for the traders in the market, and to deal with criminal activities like area boys, robbery, cultism and kidnapping. 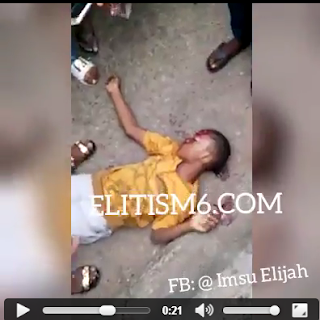 Video film of a little boy who was shot in the early hours of Saturday 26th August has gone viral over the internet. "he was gunned down by flying bullet". The Federal Government has outlawed the wearing of high heeled-shoes among women at private establishments. The Federal Government of the Philippines, through its labour department, on Saturday, issued an order banning private companies from demanding female employees to wear high-heeled shoes at work. 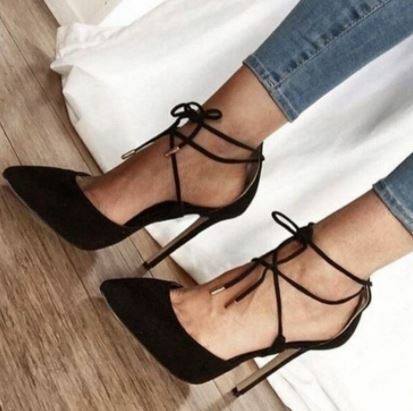 According to a labour group that proposed the new directive, the order makes the Philippines the first country in to ban the mandatory wearing of high heels. 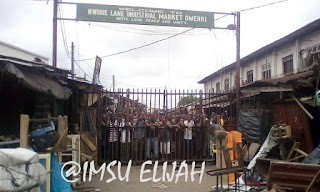 The State government during the week gave traders at the market Ultimatum of 48hrs to relocate their various businesses to a new market location at Naze and Egbeada Mbaitolu. Reason being that the state government wants to convert the market to an ultra modern public school. 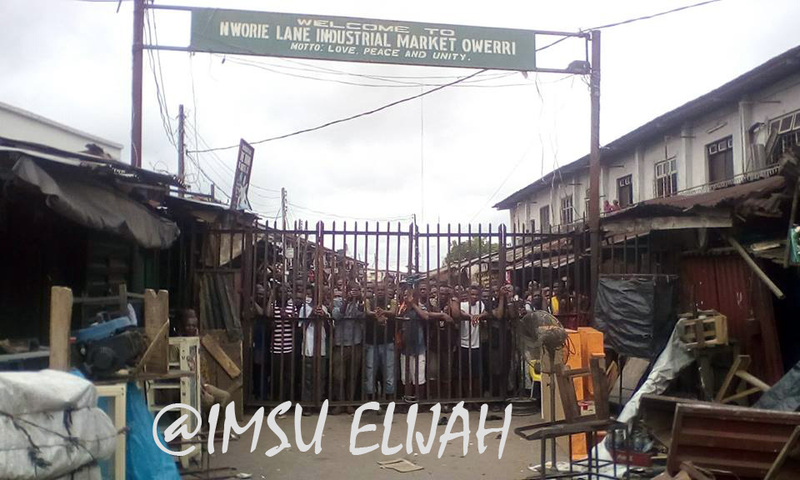 The Government vowed not to tolerate any form of resistance as the Market must go, Traders and indegenes of owerre camped there throughout the night upon the expiration of the ultimatum Saturday 26th August. The demolition is in progress as the government forces seems to have over powered the traders. 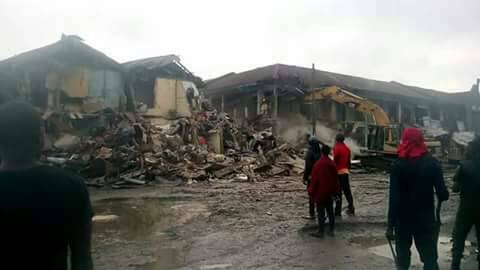 Douglas Geographical Area in owerri, housing the Owerre Ancestral Market has turned Into a bandit territory as traders have resisted attempt by state government to demolish the market. 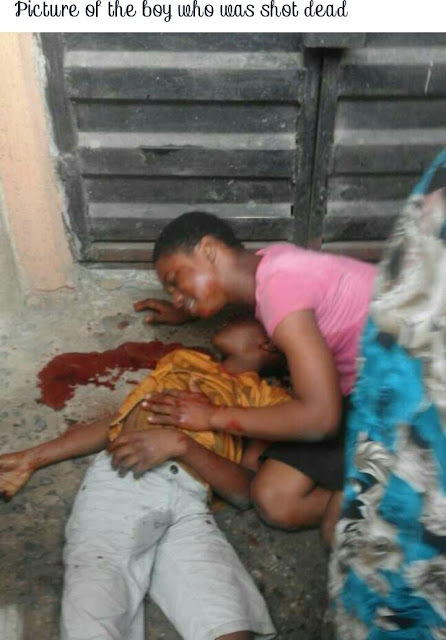 Picture of little boy and others who were shot in the early hours of Saturday 26th August has gone viral over the internet. 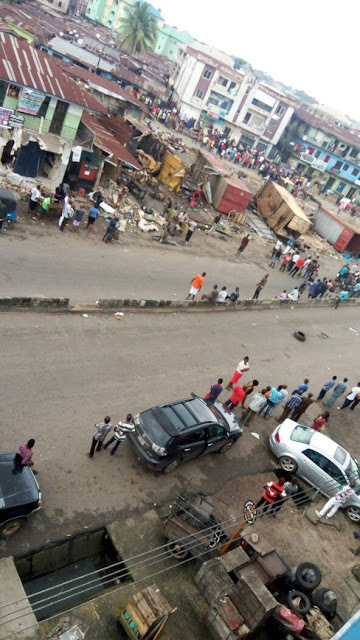 The killing is unconnected to the expiration of relocation notice given to traders at Eke Ukwu Owerri market by the state Government.
" 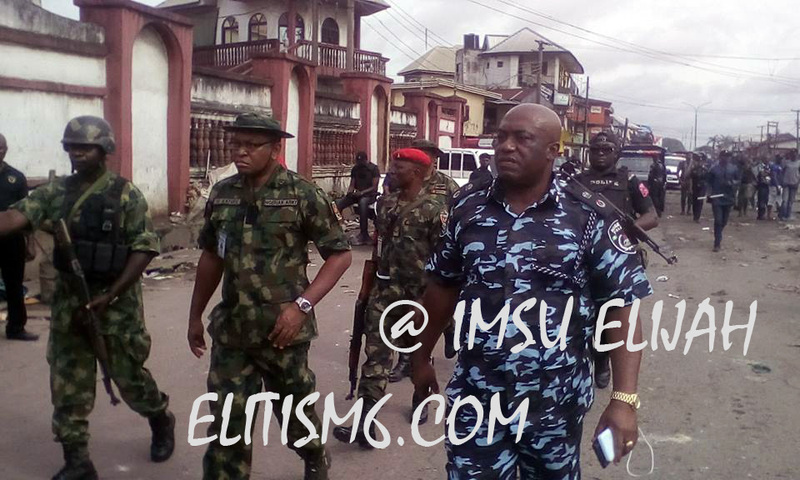 They called themselves rescue mission while in reality they are subjecting the masses to absolute poverty and hunger"
God have mercy, Everyone is advised to stay clear from Douglas as heavily armed troops ready to kill more innocent souls have invaded the area. 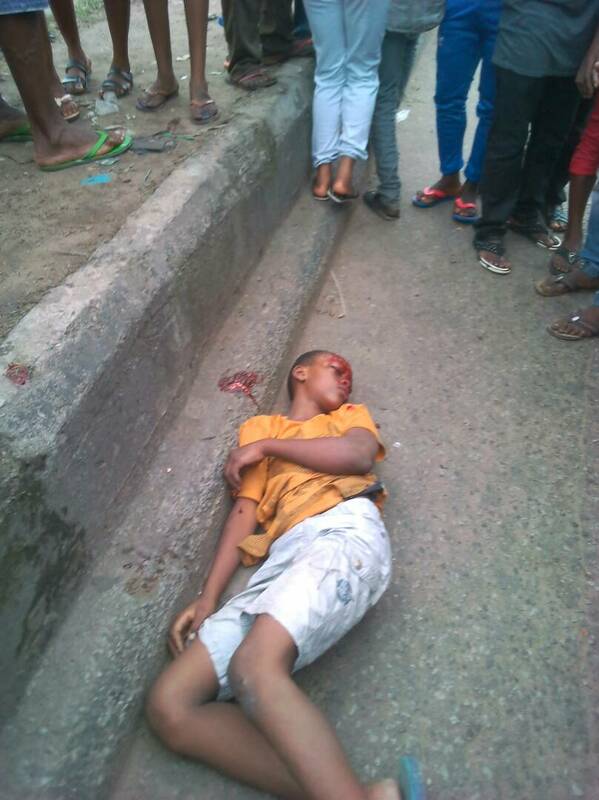 The raving tension in owerri over the planned relocation of Eke-ukwu Owerri has claimed the life of an innocent boy. All candidates who selected Abia State University as their first and second choice in the 2017 JAMB Examination and scored up to National cut-off of 120 and above are hereby invited to register for Aptitude Test exercise.The Registration forms for the Aptitude Test are available on-line from Monday 28th August, 2017. Eligible candidates should Log on to the ABSU portal (www.abiastateuniversity.edu.ng) and generate an invoice. Formost student leader and Imsu PDP students convener Sen Williams recently lost the dad Chief Williams Mezu to the cold hands of death. The late Chief and former Chevron Staff who holds the Title of Oshimili 1 of Umuokrika hails from Umodibo from Owerri North LGA and is survived by his wife Mrs Faith and Six Children. The Late Chief died of complications relating to Kidney disease. 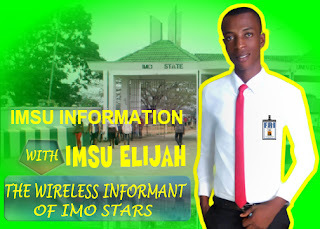 IN UMUODIBO OWERRI NORTH L.G.A. We at elitism6.com prays for God to give the family fortitude to bear the loss. 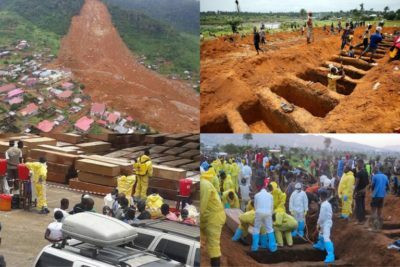 On August 14, a hillside collapsed at 6am local time (06:00 GMT) mudslide and caused a mudslide that killed hundreds on the outskirts of Sierra Leone’s capital Freetown. The mudslide had occurred after three days of torrential rain which overwhelmed Freetown’s drainage system, creating waterways that churned down steep streets across the capital. The mudslide swept away homes, overran several houses killing hundreds of residents, many of whom were trapped inside their homes Many residents who survived were left desperate for news of missing family members. 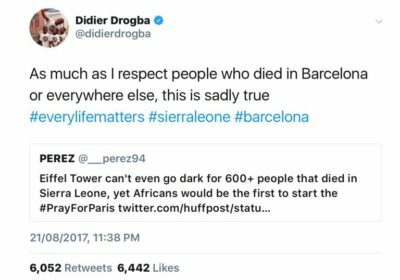 Didier Drogba took to his twitter handle to react to the silence from international communities on the tragic incident, while concurring that if it was Paris, hashtags of PrayForParis would be everywhere! 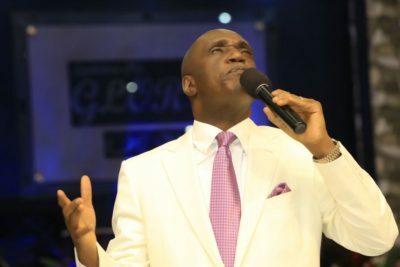 The G.O of Salvation Ministry, Pastor David Ibiyeomie, has declared that anyone that is 35 of age and is still unmarried is irresponsible. He said this during a recent program at the church in Port Harcourt, Rivers State. 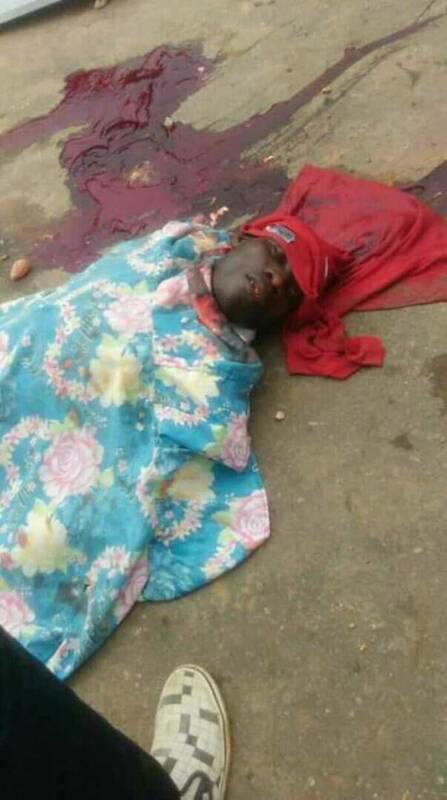 The cleric admonished single men and women to look out for responsible men and women to be their partners, adding that it was not right to get old before getting married. .
A 26-year-old student has been arrested by the police over alleged attempt to sacrifice his father, two siblings and four of his friends in Ifite –Awka, Anambra state. 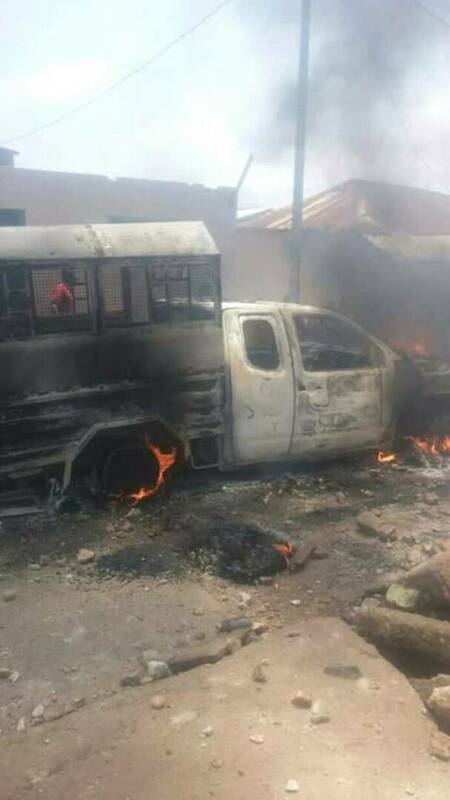 The suspect, Chukwuemeka Okafor, was said to had obtained the sum of N100,000 from the father under the pretense of using it to set up a business. 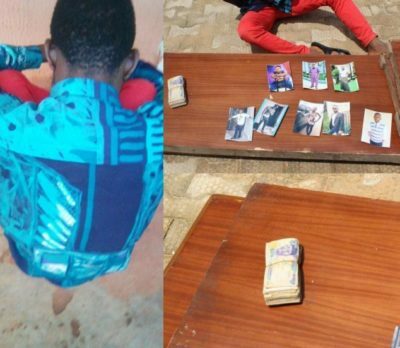 Confessing to the crime, the suspect said he was roped into the act after he was defrauded of N400,000 by one of his friends who had promised to take him to Dubai. 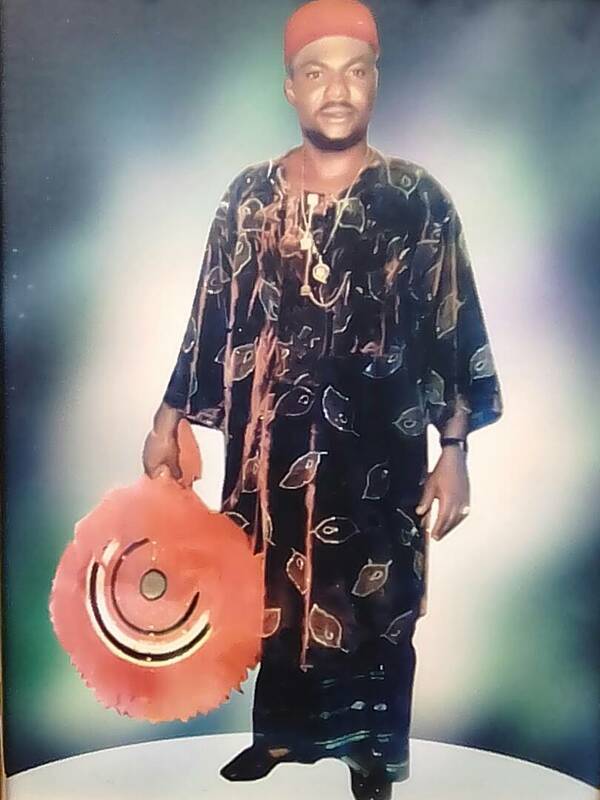 “Amidst these frustrations, I sought for the assistance of one Zaki who is very influential in the society and he told me that he made his money through money ritual. He insisted I must join him after revealing the secret, saying he was warned not to disclose such secrets to anybody otherwise his life would be terminated.” he said. The suspect, who said he had no option but to join, produced the pictures of his father, two siblings and five of his friends which he dowloaded and printed from his facebook page. He said he regretted the act, blaming it on the impoverished condition of the family. 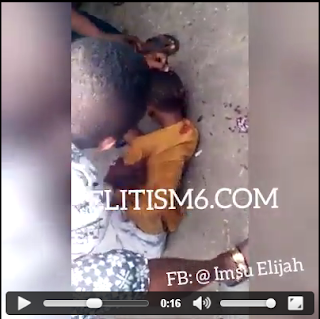 Parading the suspect, Commissioner of police, Garba Umar, said the father had innocently provided the said sum to the suspect without knowing that the money would be used to settle the ‘native doctor’ to eliminate him. 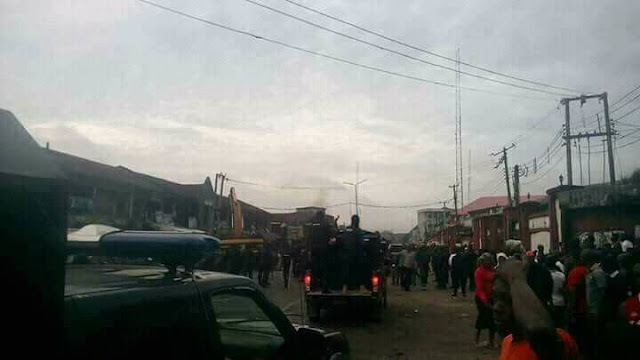 He said the suspect was assisting the police with useful information for further investigation, after which he would be charged to court for prosecution. The father of the suspect, Kenneth Okafor, a retired civil servant, and his elder brother, Henry Okafor, had pleaded that he should be forgiven, describing him as a good boy and the hope of the family. They are only remembered when their franchise is needed during election and afterwards are dumped even after the the are promised by different administrations of getting their plight heeded to. After decades of underdevelopment and neglect of their plight an illustrious son of the area and activist has taken it up to bring to the notice of everyone and relevant authorities to the pain and agitation of this community that is yet to enjoy any Basic form of development ranging from poor road networks, terrible educational structures and to Crown it all no electric light has been experienced by this community since it's creation. . The biblical Jews in exile, held captive by the Babylonians, sat and wept by the Rivers of Babylon because of the apparent torment brought on them by their captors. 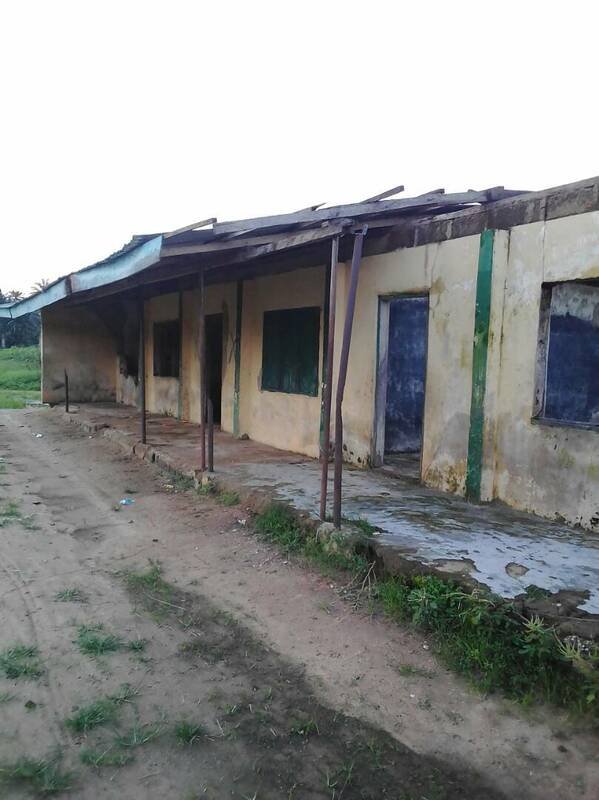 Unlike the biblical Jews, but worse, the people of Alatia Autonomous Community in Ngor Okpala LGA are in captive in their own land, held captive by the modern day Babylon – bad leadership; or how else can we describe a community lacking electricity, water supply, roads, health care, security and other things that should be accessible to a “free born”; even prisoners have access to some of these amenities. Alatia Autonomous community seems to be a city unknown to the rest of the world, waiting for their own Christopher Columbus to be discovered. 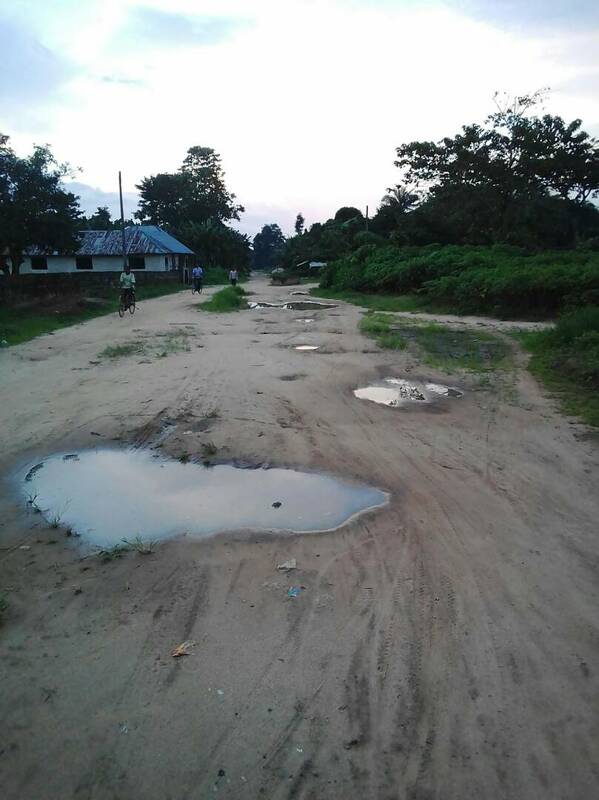 Even the “new world” had a better chance of being discovered than Alatia may have now as we do not have motor able roads to access the community. With a population of possibly close to 200,000 indigenes and residents, Alatia cannot boast of social amenities required to sustain human life. We have been abandoned by our leaders and government to rot and die perhaps. 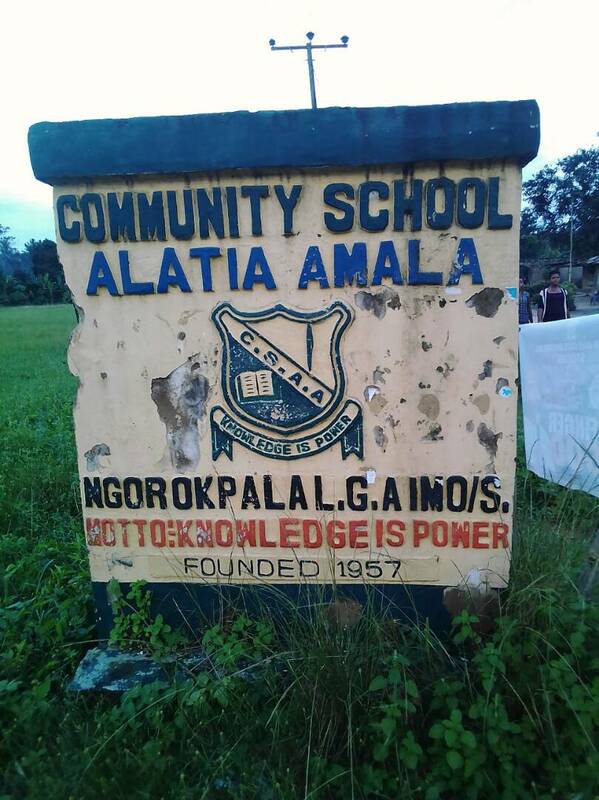 Imagine all the things the energetic and enterprising youths of the community could have achieved with electricity, but this remains only in our imaginations as our dear community has never seen electricity, never ever! Our children and elderly fall ill and only resort to cries of lamentation like the Jews by the Rivers of Babylon because we do not have functional health care centers. We are in a terrible state and this is a cry for help. Like the Jews cried out to Yahweh, we are crying out to our dear Governor and our representatives in the federal and state parliaments to hear our cry. 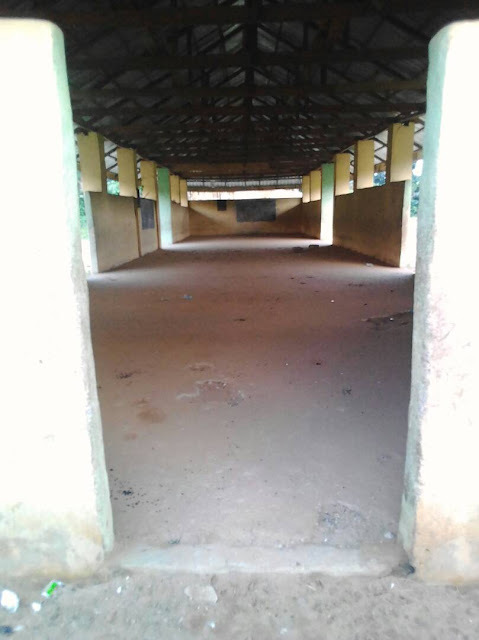 There is no need for an epistle and that is why I have made this piece short and to the point, please let Alatia Autonomous Community be discovered and rescued from the captivity of neglect and bad leadership. Please come and save us! 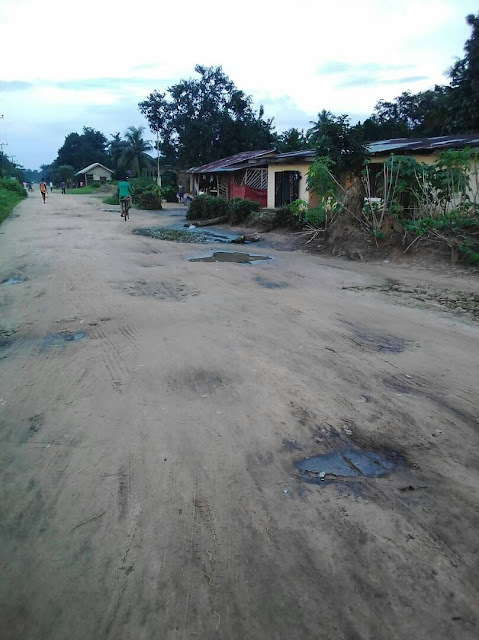 This plea is written by Engr Chinomnso Okechukwu out of deep concern for his neglected and abandoned people. 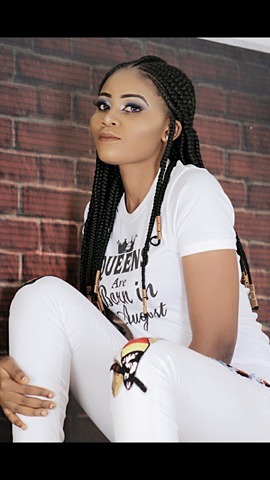 Miss Anaeto Linda an undergraduate at imo state university, department of history and internatinal studies 300L; she is one of the most beautiful faces long as imo state university owerri is concern, she is celebrating her birthday today Friday 25th August. Set the world on fire with your beauty and dreams then use the flames to light a birthday candle, happy birthday dear. “Today I celebrate you. On this special day when you entered the world, How was I to know you'd rock my world? Your smile, your touch, the way you love me, I never knew......until you What a relationship could be. So I celebrate you. My friend, my love. I celebrate you. The beautiful person that you are. I celebrate you. Because I'm the lucky one, by far. So as you celebrate one more year.